Directions for Filling Out the Voter Registration Application -**Please Note** This form is for viewing purposes only. You may obtain this application by using the link above. not have been declared by a court exercising probate jurisdiction to be either totally mentally incapacitated or partially mentally incapacitated without the right to vote. To determine if you are already registered, visit the voter lookup page. If you registered to vote through DPS, please verify that your registration has been processed and you are an active voter by using our voter lookup page. To cancel your registration, fill out the form below, print it, and mail it to the Elections Administrator’s office. Did you receive any one of the following document types? Write the voter’s name (if not pre-printed) on the form. Write “deceased” across the front of the form. Record your relationship to the voter beside your name (i.e. husband, wife, son, daughter, etc.). Return the notice to the Elections Department. The voter registration record can now be cancelled. Send a sworn statement to the Elections Department that the person is deceased. 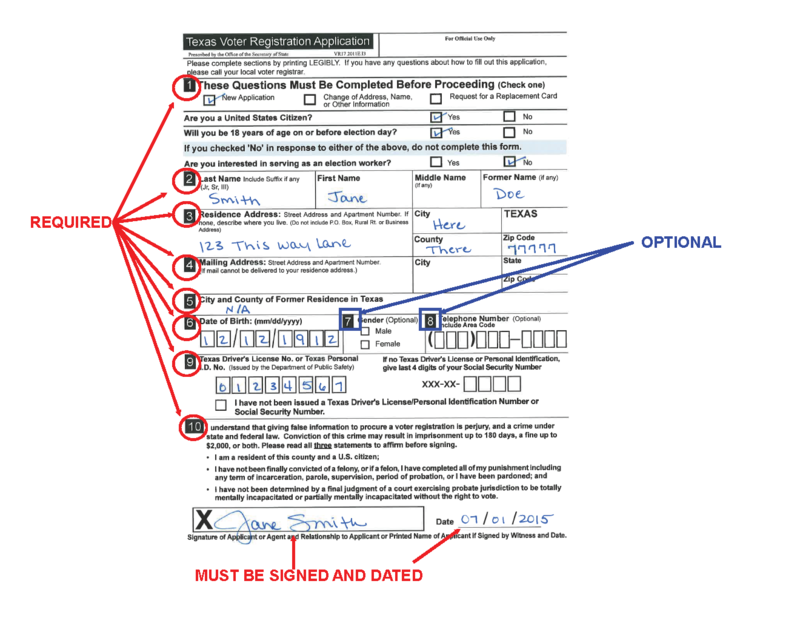 Include the name of the voter, registration address, and date of birth. Send a certified copy of the Certificate of Death to the Elections Department. The Secretary of State’s office offers a page of Frequently Asked Questions. Feel free to contact our office with any further questions you may have.